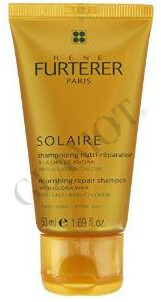 Shampoo for regeneration of sun-stressed hair. The unique formulation gently cleanses and gives hair the necessary hydration and nutrition. Apply to wet hair and massage gently, then rinse thoroughly.